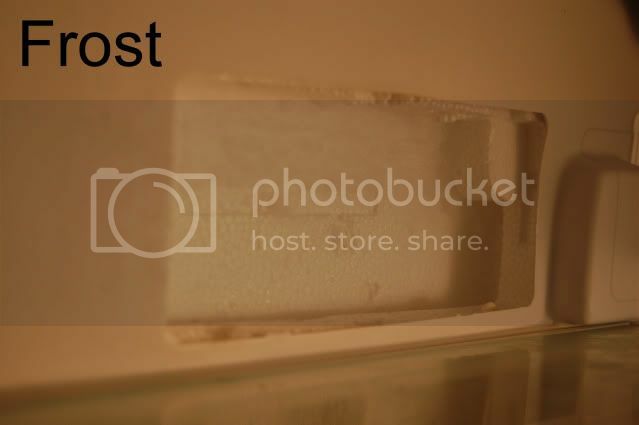 Freezer cold - Refridge warm - Side by Side with PICS! Sorry for the second thread just want to get all of my info on 1 page. JWWEBSTER thanks so far, I added pics to hopefully speed up this process. 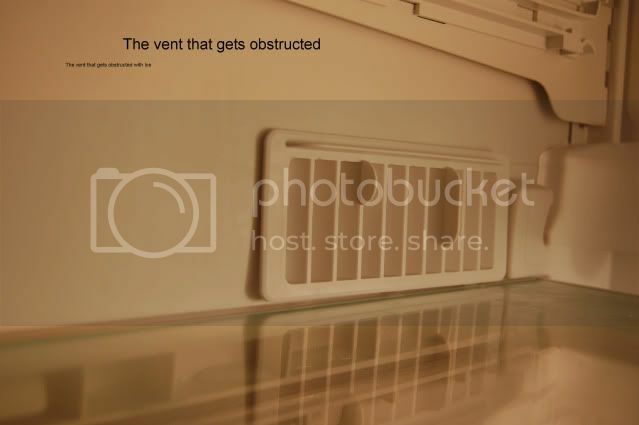 The lower return vent , next to the crisper drawer, freezes over every 6 weeks. The fix is 15-20 minutes with a hair dryer. Ive left it unplugged for 24 hours and the problem was fixed for 6 weeks. Where does this vent lead to? Any suggestions?? The doors on both sides are sealed tight. Re: Freezer cold - Refridge warm - Side by Side with PICS! It took me about 20 minutes to get the back off.The freezer seemed like it knew the door was open and quit blowing after a few minutes. Very light frost on the coil. Still looking for some help here.... Anyone have any Ideas? The return vent? I don't get a return vent. A return vent to where? I have some things to check.. This unit has worked fine in the past and continues to work good as long as there is no blockage. 1) are the door hard to open do to suction ? 2) I have seen them work for many year... then there is not enough air flaow to keep up with the system... Whirlpool has come out with a stronger motor. I believe my kids have a hard rime piping the doors open due to a good seal on the doors. What so you mean in 3 above? Does anyone know where this lower vent leads to? Maybe there is an obstruction somewhere in the vent somewhere. There is no fan or anything just a square hole in the side of the fridge part? This is the return vent . Cold air is blown in at the top drops and is sucked into the vent at the bottom. 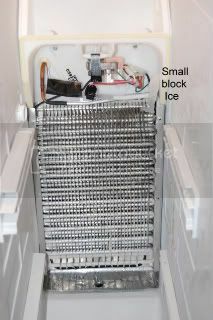 The vent leads to the freezer at the bottom of the evapator . If it is blocked by ice. Air can not return to the freezer side so you will not get any cooling in the fresh food side. If the door is really hard to open then there is suction for cold air pulling on the door. This makes sense. I've got the thing back together now so I can't see the down by the evaporator. I'm guessing there has to be some sort of blockage on the freezer side not letting the cold air back into the freezer side. Where can I find a schematic for this pos?? Here is the tech sheet for your model refrigerator, it includes the schematic. So....... are there parts in the wall that seperates the freezer from the refridgerator that I can replace? Where does this lower vent lead to? Looks like it goes into the seperator wall then up? According to me you should first check your door gasket on the fresh food side for air leaks also make sure the door is self-closing. 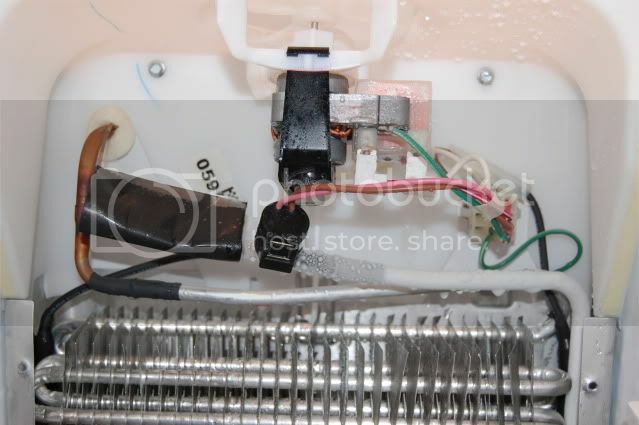 If the fan is not working properly, then this can be the thing which only a professional can able to manage with some techniques. Last year one of my friends also had a similar problem with the refrigerator, then he decided to call Refrigeration repair Santa Barbara from the Website. The fridge is now working properly. Likewise, you should also call some professionals to know the issues.